Here's what on ours. Lets see some pics of turret art. I wanted to 550 cord a mummified cat we found in a parking garage to ours, but some wisdom prevailed. 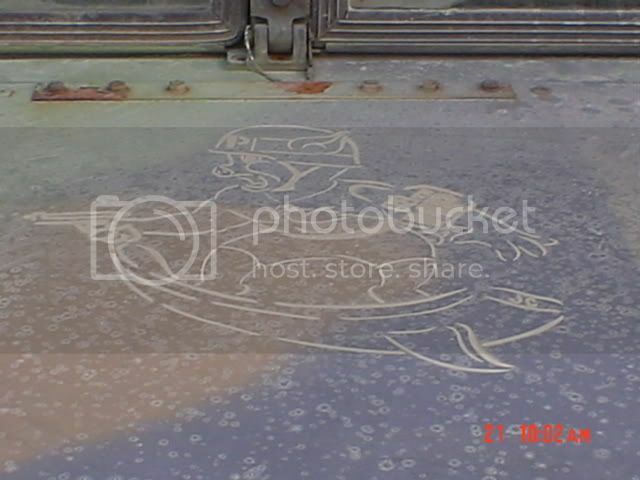 Well, not really Turret Art (more like Hood Art), but nonetheless a very cool image from our Humvee (Circa 2003). If you can';t see it well, it a pic of Porky Pig with a Vietnam Era M1 MP Helmet liner, an MP Brassard, an M9 pistol in his hand and a crossed pistol tattoo in his chest, riding a surfboard (since our platoon leader is an avid surfer). Tag for pics. very cool. They finally fielded those, heh? How's your sense of situational awareness? 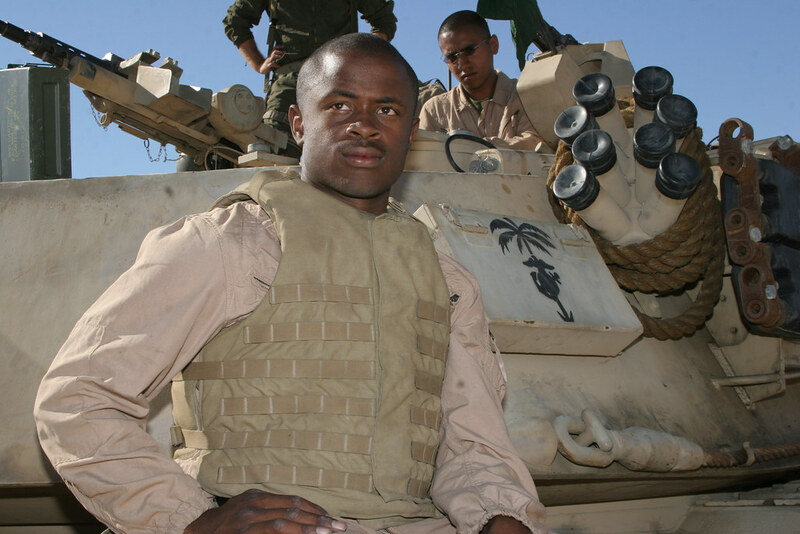 The tankers I know - that have had similar capability forever - still prefer to ride at nametag defilade, but for Command and Control in additon to Sitauational Awareness. The former might not be as important for guntrucks. HEY!! that truck's out back!! WTF!! who are you and why are you pretending to be deployed?!! JK hope you guys are home safe. truck's out, I think, confusing the locals. I wouldn't recommend having several in any convoy, but having one at least is a fairly useful tool. The ability to zoon in so far with accuracy combined with a thermal camera simply lets you see things that no regular gunner could. Finally back, we were in Manas so long almost ended up seeing the 4.5 guys. Stay safe out there man. How's this for turret art? When we first deployed, we were told to paint over the bumper numbers. Here's some real turret "art". I edited it to comply with the CoC. But that is a real t-shirt...if you really want one, IM me and I'll put you in touch with the maker. meant to post it here, instead of the pics in the sandbox. Still one of my favorites. Hanging in my Chief's office. 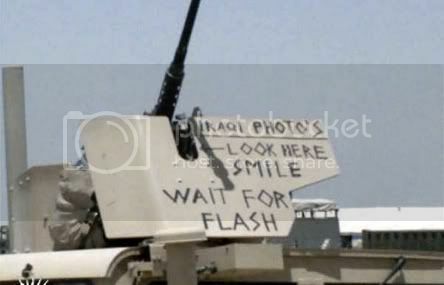 KoolAid is no more, a new CSM has decreed that "No Additional Markings"
are to appear on military vehicles. All turret art, etc. is to be removed. This is obviously the one thing standing between us and victory. So the new CSM is very popular. Is it just me, or does the Army have far too many CSMs running around? Sad as that is, it made me laugh. FOB Kalsu. Babil Province just off MSR Tampa. Are you going for the extended stay or coming home soon?